Due Process Stable - International Judge Sandy Croote Having judged over 125+ shows, and carded in USEF, Sr. Judge in AMHA, Large "R" ASPC/AMHR/ASPR, (Classics & Moderns), WCMHR, GVHS & GHRA (Gypsy Vanner), ADMS, NSMA, NMDA, NSPR, WCPSA (Welsh), NOHS, OHSA, and POAC. Sandy is also available to judge Open English, Western, SS, Driving and 4-H shows. 518-875-6244 (home) 518-376-4385 (cell) Judging/Steward Highlights include:New Zealand Miniature/Pony Nationals (2019)New Zealand Mule/Donkey Show (south island)Steward AMHR Nationals (2019)Steward ASPC Nationals (2019)AMHR Nationals, Tulsa, OK (2018)Equispirit Belgium (2018)Finland International Show (2017)﻿ASPC/AMHR Netherland Fair Show (2017)EUSUM AMH Open Miniature/Pony Show Aaltan, Germany (2017)EUSUM World Show Holland (2016)European Extravaganza - Germany (2016)New Zealand (North & South Islands) (2016)Australian Nationals (2015)﻿﻿ Netherlands Equine Extravaganza ICAMH (2015)Sweden Miniature Show (2015)AMHR Nationals (2015)ASPC/AMHR National Area 8 (2015)﻿﻿ASPC Shetland World Championships (2014)European Internationals (2014)ASPC/AMHR National Area 3 (2012) ﻿﻿Horse Industry Highlights:Horse Wrangler on Season 9 premiere of the TV show THE WALKING DEAD 2018 & 2016 Clinician at Equine Affaire (Ohio) April 12-152018 & (Massachusetts) Nov 11, 2016 (click link at right)﻿ Featured TV interview with Horse Girl TV - Nov 2016ASPC Advisory Group of the National Breeds and Discipline Council (2016)PA 4H Judges Clinic Instructor (2016)Tri-County Hunter Jumper Board of Directors (1991-2005)USEF Safety Committee (2011- current)USEF Shetland Committee (2011-current) Co-ChairASPC/AMHR Safety Coordinator (2010-2012)ASPC/AMHR Stewards Committee (2017)ASPC/AMHR Board of Governors (2010, 2014 to current)ASPC/AMHR USEF Chairman (2010-current)ASPC/AMHR Judges Committee and Instructor/Facilitator (2013-present)ASPC/AMHR Rulebook Committee (2012-current)ASPR Committee (2010, 2013-current)AMHA International Committee (2012- 2015)4H Clinic Instructor (2011- current)Sandy has been interviewed for several magazines and her horses have appeared in the Practical Horseman conformation clinic section (winning it), 3 articles in John Lyons Perfect Horse (7 page training article/interview), Grooming for Shows (5 page article), and Safety on the Trail (6 page article), she was spotlighted in PtHA magazines amateur corner, and her Miniature Horse articles also ran in Trail Rider Magazine. (copies on request). She has also been a contributing writer for AMHR's Journal.﻿﻿ She is author of the The Judges Reference Manual and Exhibitors Learning Book which has sold very well throughout the US and Internationally. 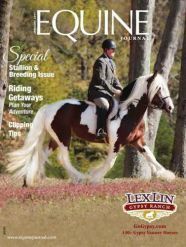 MULTI - World, National, Hall of Fame, Horse of the Year, All-Stars, Supreme Performance & Halter Horses. 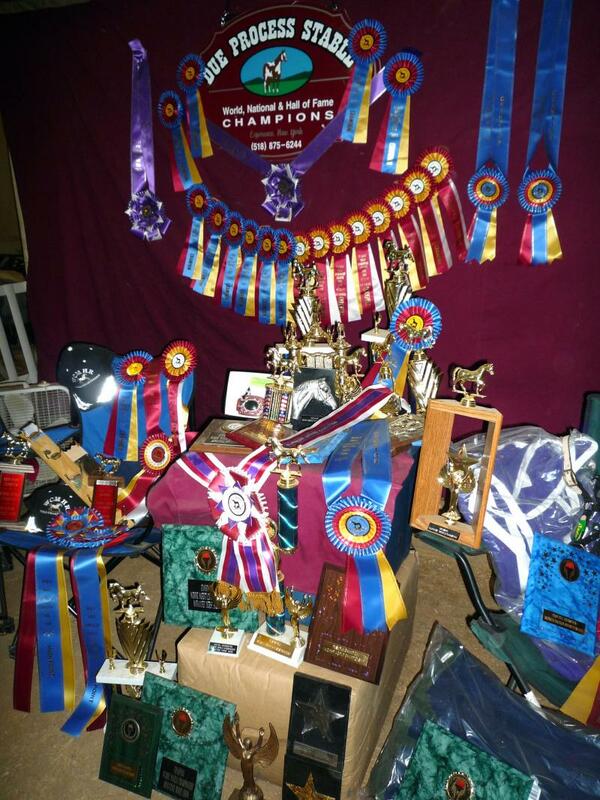 Having judged over 125+ shows, and carded in USEF, Sr. Judge in AMHA, Large "R" ASPC/AMHR/ASPR, (Classics & Moderns), WCMHR, GVHS & GHRA (Gypsy Vanner), ADMS, NSMA, NMDA, NSPR, WCPSA (Welsh), NOHS, OHSA, and POAC. Sandy is also available to judge Open English, Western, SS, Driving and 4-H shows. 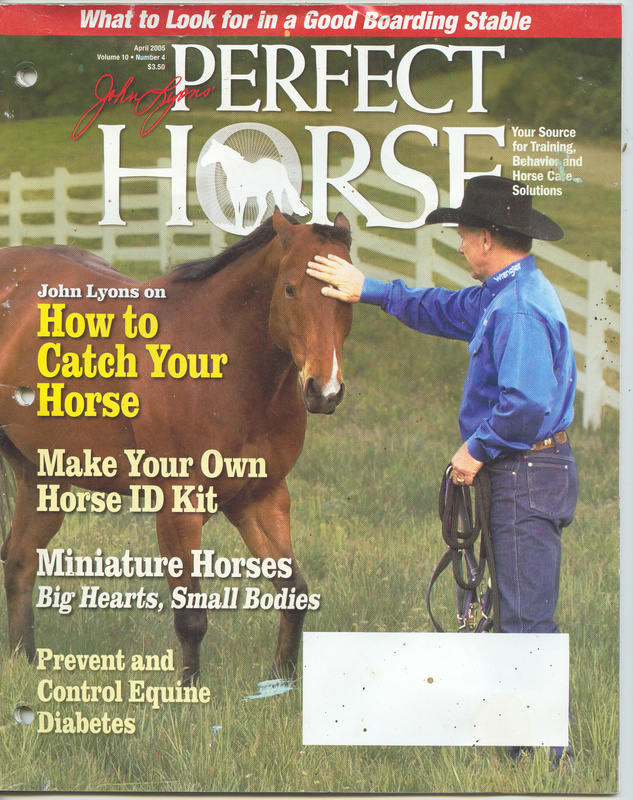 Sandy has been interviewed for several magazines and her horses have appeared in the Practical Horseman conformation clinic section (winning it), 3 articles in John Lyons Perfect Horse (7 page training article/interview), Grooming for Shows (5 page article), and Safety on the Trail (6 page article), she was spotlighted in PtHA magazines amateur corner, and her Miniature Horse articles also ran in Trail Rider Magazine. (copies on request). 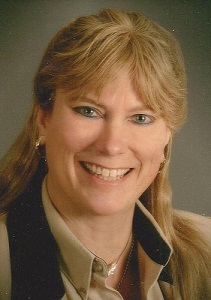 She has also been a contributing writer for AMHR's Journal.﻿﻿ She is author of the The Judges Reference Manual and Exhibitors Learning Book which has sold very well throughout the US and Internationally. A private local farm, Due Process Stable is located in Esperance, NY. Copyright 2014 Due Process Stable. All rights reserved.